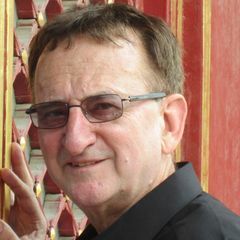 Then, sociology Professor William Roy guided students through brief selections of 11 other versions of the same song — New Age, reggae, country-western and more — in an eye-opening start to the seminar’s quarter-long journey into an intriguing investigation of the social links, as well as the barriers, that music creates. Welcome to “Music and Social Identity,” one of the 120 new Fiat Lux Seminars offered for the 2002-03 academic year to bring an intense, focused, small-class experience to UCLA freshmen. For the Fall Quarter, UCLA is offering 32 Fiat Lux Seminars that span the range of disciplines on campus. 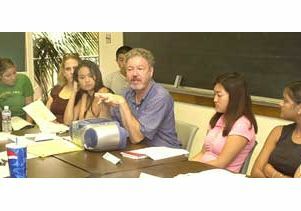 In addition to meeting with senior faculty who teach undergraduate programs, freshmen have the opportunity to enroll in seminars taught by professional school faculty who generally do not teach undergraduates. Each Fiat Lux Seminar, worth one unit of academic credit, revolves around intense class discussion, often led by the students themselves, and is supported by outside readings. Each seminar is designed to accommodate 15 students, with a maximum of 20 allowed. Fiat Lux (Latin for “Let There Be Light,” the UC motto) is the newest program in UCLA’s ongoing commitment to expanding opportunities for small and innovative classes for undergraduates. Other programs that focus on new students include the Freshman Clusters, the interdisciplinary, team-taught series of courses for general education; the Honors Collegium, a groundbreaking program that creates a small-college environment within the large public university setting; and the September 11 Seminars, a series of 86 courses offered last year that was the largest academic response created by any university in the aftermath of the terrorist attacks. For more information, visit: www.college.ucla.edu/fiatlux/.